This week, the Rewilding Apennines team has handed over the first of the 20 electric fences donated by Rewilding Europe to the citizens of Pettorano sul Gizio (AQ) for protecting chicken coops, stables, gardens and orchards from damage by wildlife and particularly by the Marsican brown bear. The sad story of a killed bear brought mobile electric fences to the Central Apennines. On 12 September, a male bear was shot and killed in the Municipality of Pettorano by a farmer during a raid at a chicken coop while at least another bear – a reproductive female, is frequenting the area permanently. This community lies within the Monte Genzana and Alto Gizio Nature Reserve, a strategically important ecological corridor between the Parco Nazionale d’Abruzzo, Lazio e Molise and the Parco Nazionale Majella in the Central Apennines. If this area is made less dangerous to the bears it will allow the bears to move around and disperse between the two parks, which will be an important contribution to the future of this small, endangered bear population in the Apennines. It will help to prevent further conflicts between bears and the local communities. 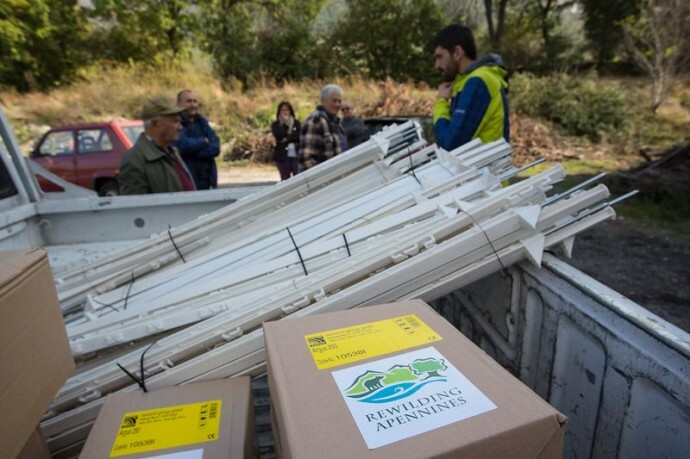 This is just one of the preventive actions that our colleagues in the Central Apennines are carrying out, jointly together with their partners in the Monte Genzana and Alto Gizio Reserve, as a tangible contribution to the continued and excellent work these are doing in the area. Introducing wildlife watching tourism into this magnificent reserve, with its beautiful narrow gorges, rich forests and vast mountain meadows, and contributing to the efforts to reduce wildlife road accidents are two of the next steps planned by our colleagues in the Central Apennines team.